Ocean acidification is potentially devastating for shell-forming organisms from corals to oysters, evidence shows. But to date, few studies have demonstrated acidification’s effects in the wild. Now, new findings suggest one seafaring shell-maker could be the key to understanding its effects on the West Coast’s ocean ecosystem. The animal is Limacina helicina, a small pteropod commonly called a “sea butterfly” because of its winglike extrusions that lend it the likeness of a flying, underwater snail. In 2011, researchers led by scientist Nina Bednarsek from the National Oceanic and Atmospheric Administration (NOAA) set out to discover how the West Coast’s population of sea butterflies are faring under acidification. To puzzle this out, researchers surveyed the coast from southern California to the Canadian border, testing the waters and catching pteropods both near the shore and farther out to sea. What they found is troubling. The animals’ shells were dissolving. Under an electron microscope this “dissolution” appeared as corroded, pocklike marks on the animal’s spiral shells. In total, sea butterflies in 14 of the 17 sites sampled showed signs of dissolving shells. This dissolution, the researchers note, causes the shells to weaken, which can make sea butterflies more susceptible to infection and predation, and less likely to procreate, That’s bad news, and not just for the pteropods. L. helicina is a food source for birds, fish and whales. What’s more, Bednarsek and her fellow researchers chose the sea butterfly as an indicator species because of its ubiquitous distribution along the coast and its sensitivity to acidification. In other words, the sea butterfly acts as a kind of canary in the coalmine — our metaphor, not theirs — when assessing ocean chemistry. The term “ocean acidification” denotes the lowering of the pH level of the world’s oceans as rising atmospheric CO2 dissolves in seawater. This renders the water less basic or, loosely speaking, more “acidic.” This process in turn lowers the availability of calcium carbonate, the building material for the shells of numerous species. Along the West Coast, reasons for this loss of calcium carbonate are as much about natural activities as human ones. The West Coast’s waters are influenced by the California Current and by an associated process, coastal upwelling. Upwelling works like this: Every summer in northern California and the Pacific Northwest, strong winds from the north combine with the Earth’s rotation to push the coastal waters offshore, forcing CO2-rich waters from the ocean’s depths to rise to the surface. During this process, low pH waters can significantly reduce calcium carbonate levels—by as much as 50 percent, according to the researchers. This makes the California Current’s near-shore waters a natural laboratory that helps us glimpse what ocean acidification might look like in the future as pH levels continue to fall. World pH levels for ocean surface waters have already fallen by 0.1 units and are expected to drop another 0.3 units by 2100. As for the “canary,” the researchers found 53 percent of near-shore sea butterflies showed signs of severe shell dissolution, compared to 24 percent in waters farther offshore. (The preindustrial rate of shell dissolution is estimated at about 20 percent.) By 2050, the researchers estimate severe shell dissolution will increase by as much as 70 percent in near-shore waters. 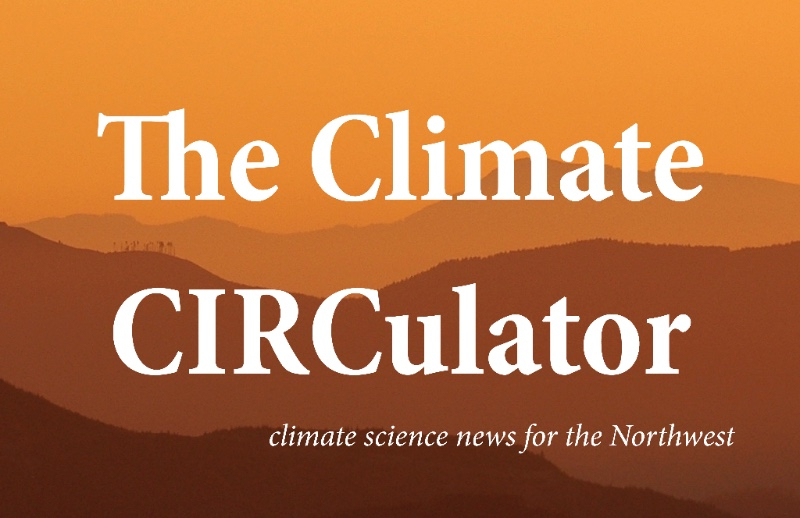 These findings were published in the Proceedings of the Royal Society B.
Nathan Gilles is the managing editor of The Climate Circulator, and oversees CIRC’s social media accounts and website. When he’s not writing for CIRC, Nathan works as a freelance science writer.